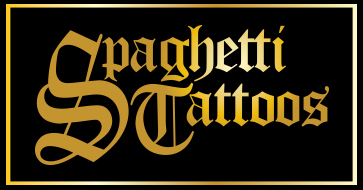 Please use the links above to download aftercare advice for your new tattoo. Please call the studio to speak to your artist if you have any concerns. Here are the answers to some commonly asked questions...if you have something you would like to ask and can't find the answer here - please contact the studio. NO EXCEPTIONS. Parental consent DOES NOT count, no one under the age of 18 can be tattooed in the UK. Please bring valid ID with you both at the time of booking AND on the day of your appointment. We WILL NOT carry out any procedure unless valid ID is presented when asked for - even if you have pre-booked. Valid forms of ID include passports, driving photocards and student cards but the date of birth MUST be on the card. Birth certificates WILL NOT be accepted. It is an offence to fraudulently use another person's or fake ID. A cash deposit MUST be paid to secure your tattoo appointment, this deposit will be deducted from your final price upon the tattoo being carried out. Until the deposit is paid your slot may be booked by another client. Please ensure you pay your deposit as soon as possible to avoid disappointment. Deposits are non-refundable. Generally we will not do hand or finger tattoos on clients unless they already have a significant amount of tattoos e.g full sleeves. This is due to the rate at which they fade, age and lose detail. They require a lot of upkeep and therefore lose definition with each touch up. We offer a free retouch within 3 months of your original appointment - this is to fix any initial problems that may arise after healing e.g missing spots. Retouches DO NOT include a change of colour, additional work etc. If you decide to add to your tattoo or change the colour of elements you MUST book a new appointment. Retouches MUST be booked in the studio so the artist can see what needs to be done. Free retouches are offered at the managers discretion.